Spring comes to Peralada with the Low Sunday festival, jam-packed with events for all ages: The traditional walk round the town, childrens' entertainments, the gathering of the giants, choral mass with the Peralada choir, a concert and traditional dancing. All weekend there is also a fun-fair and attractions to suit all tastes. 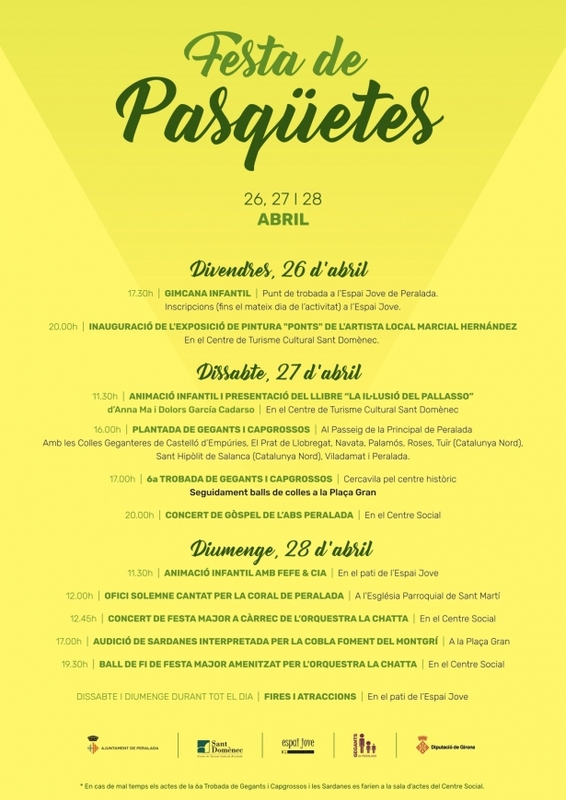 Programa de actos Fiesta de Pasqüetes 2019.